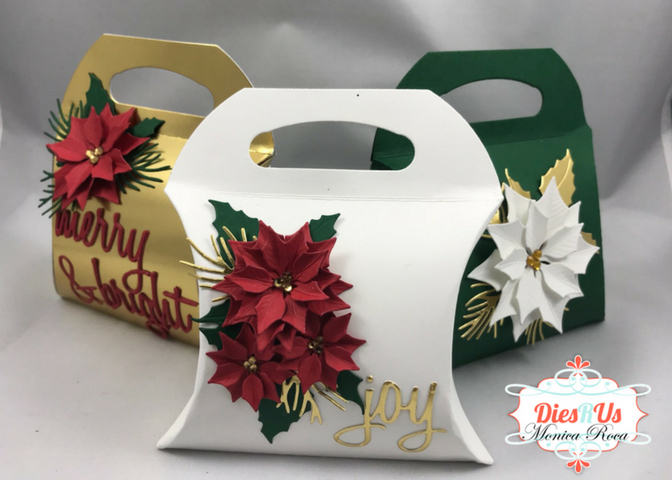 Today I wanted to share some quick and easy Christmas Treat Boxes. Yes, I know its a little early for some to start thinking about Christmas, but I tend to work on Christmas all year since it never hurts to get ahead of the game. Especially since we always seem to run out of time when December rolls around :). Lets jump in quickly on these adorable boxes. I created a quick YouTube video for you to go over all of the products that I used as well as go over the details of each of the pillow boxes. I just love your boxes. Someone will be very happy to get them come Christmas day.